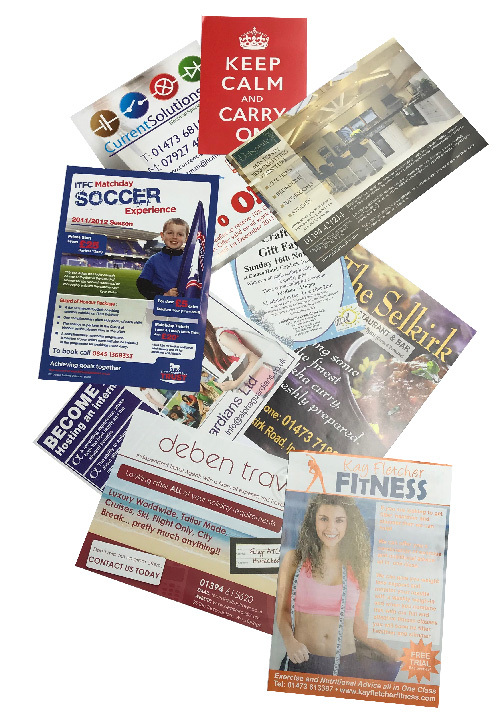 Whatever you want to say, a leaflet is a great way to get the message over. If you need to get the word out about an upcoming event, promote a new menu in your restaurant or advertise a service on behalf of your business, flyers/leaflets are the ideal promotional tool. From A7 through to A4, on a variety of different weights of papers, silky or gloss. All in full colour and highly competitive prices.